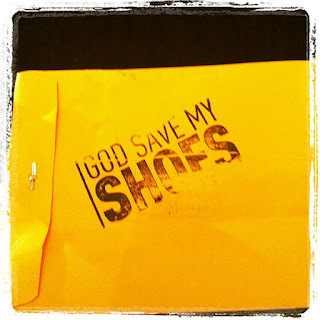 After the fabulous “God Save My Shoes” event in Chicago, hosted by the Service Club of Chicago of Chicago, the production company, Caid Productions sent me my very own copy of the shoe-centric documentary “God Save My Shoes.” The envelope it came in, all official and yellow, was even stamped with a huge “God Save myShoes” stamp, easily making it the coolest package any of my mail has come in all year. So we sat down for an hour and a half between cleaning the house and taking Thor to get his nails clipped, and I gave my husband some insight into my obsessions. Ladies, we should all make our significant other’s watch this film. First, I’m pretty sure he is now relieved that I only own shoes into the three digits. So many of the women they talk to have thousands of pairs of shoes or multiple shoe closets, he now thinks he’s getting off pretty light. Second, a few hundred dollars is no longer a staggering amount of money to spend on shoes. After seeing the heels that run well into the thousands of dollars, my occasional foray into three figures is now a calming thought. 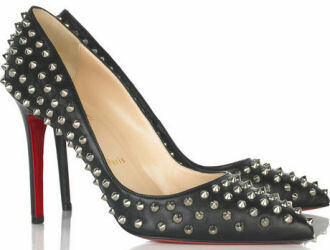 Christian Louboutin doesn't care about comfort. It also gave him some much needed insight into the world of shoes and shoe obsession, although I did get a bit of a sideways glance when it was mentioned that the average American woman buys seven pairs of shoes every year. I’ve easily bought more than seven pair this year already, but I like to think of myself as an overachiever. As long as we all know what’s important. If you’re interested in owning your own copy of “God Save My Shoes” on DVD, you can buy it here, and use code GSMS4EVER to get 20% off.